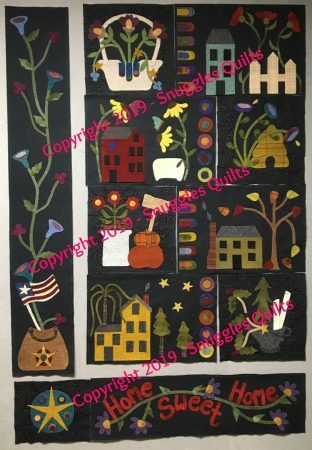 Established in 2005, Snuggles Quilts Pattern Company is a quilt pattern design company. All the patterns are original designs of Deanne Eisenman. 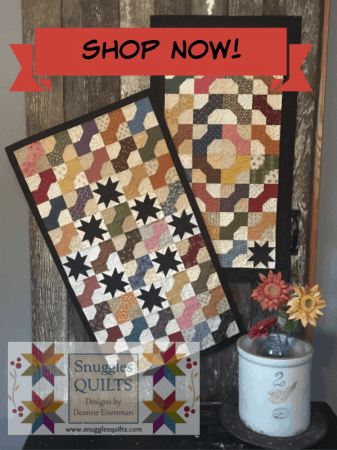 The company grew out of Deanne’s desire to share her easy and fun pattern ideas with the quilting world! 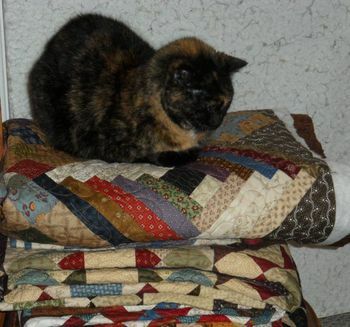 There are patterns for all types of quilts from lap size to wall hanging and table runners to pillows. Many of Deanne’s designs are seasonal or holiday themed. 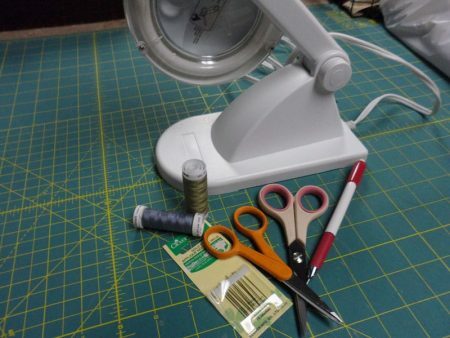 Beginners and experienced quilters alike will enjoy making these projects. Deanne likes to add simple applique to pieced quilts to add a unique flair. All the applique can be done by hand or machine, whichever is your preference. She also designs charming wool applique on fabric projects! Deanne’s patterns have appeared in many quilt magazines including American Patchwork & Quilting, Quiltmaker, McCalls, Primitive Quilts & Projects and Fons & Porter’s Love of Quilting. She has also had patterns appear in the American Patchwork & Quilting calendars several times. 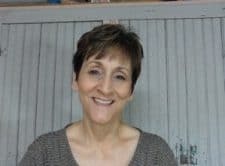 Deanne is a published author of two books from Martingale & Company. Country-Fresh Quilts was published in 2008 and Scrap Quilts Go Country was published in 2011. Her current book, published at the end of 2014, is called Blooming Patchwork. Originally published by Kansas City Star Quilts, it is now with C&T Publishing. For more information on these books or to purchase one, visit our Books page. 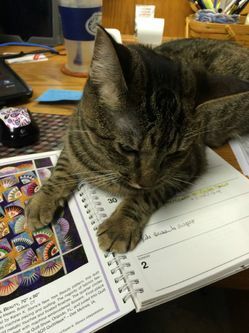 The namesake of the company, Snuggles, was the family cat for many years. Snuggles liked to lay on quilt tops while Deanne tried to quilt them and she liked to burrow into the basket of scrap batting to nap. She thought she was the owner/designer. So, when Deanne was looking to name her company, Snuggles Quilts seemed to be the logical choice. Our lovely Snuggles left us in 2015 at the ripe old age of 17. This is Snuggles in what was one of her favorite spots! ….. and has taken over the supervision of the business! Take the time to browse around the site! 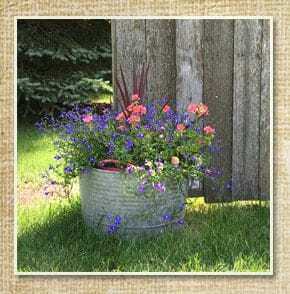 Look at the many patterns available or read Deanne’s entertaining and helpful blog. Comments are always welcome! You can also join me on Facebook and Instagram.